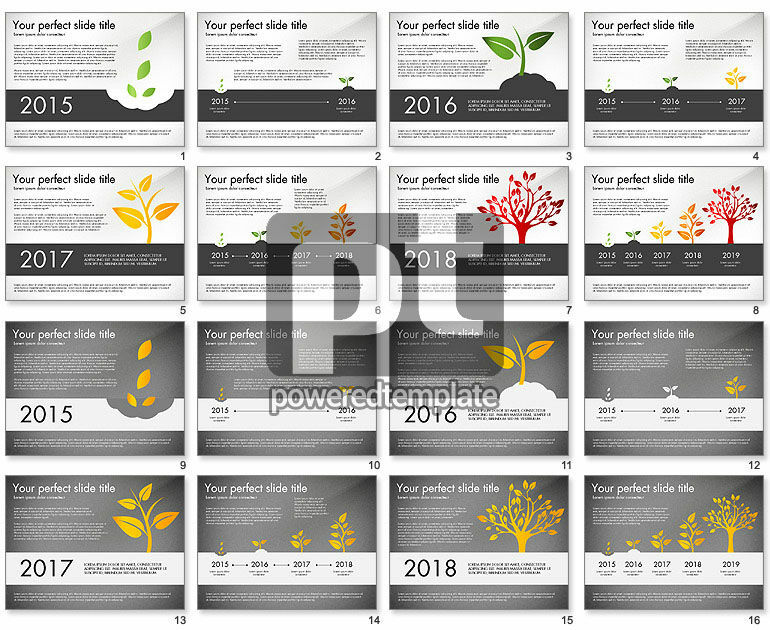 These presentation slides 49060 are complete compatible with Google Slides. Simple download PPTX and open the template in Google Slides. Don`t miss a chance to conquer your audience with such a kind of clearness and simplicity. It illustrates growth stages, starting from planting seeds, then sprout growing and at last a big tree as the visualization of a result. It is the best choice to represent long-term plans, business plans, startups, step by step actions, project development, business growth, development strategies and others.